May is a steady month for the Rooster. Any confrontations that the Rooster had with others should disappear. 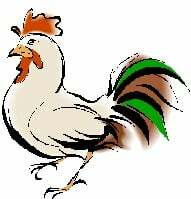 The Rooster may also have felt they had unpleasant moods last month but they should all disappear this month. Have a fantastic month. 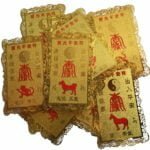 We recently launched a range of Gold plated Chinese Animal Protection Talisman cards which should be stored in cars, wallets, purses, accounts, on walls and so many more places to give protection throughout the year. For your protection, you should have a Chinese Animal protection Talisman card of an Dragon with you at all times.